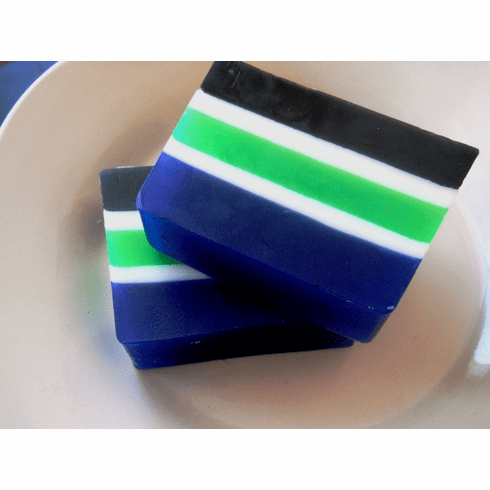 This soap is our impression of Aquolina's Blue Sugar Cologne. This scent possesses hints of: Bergamot, Tangerine Leaves, Star Anise, Ginger, Licorice, Patchouli Leaves, Lavender, Heliotrope, Coriander, Caramel, Vanilla, Cedarwood, and Tonka Bean. Smells wonderful! Plus, soap is made with the added benefits of olive oil and raw sugar; great for skin too! Weighs approximately 5.5 oz.